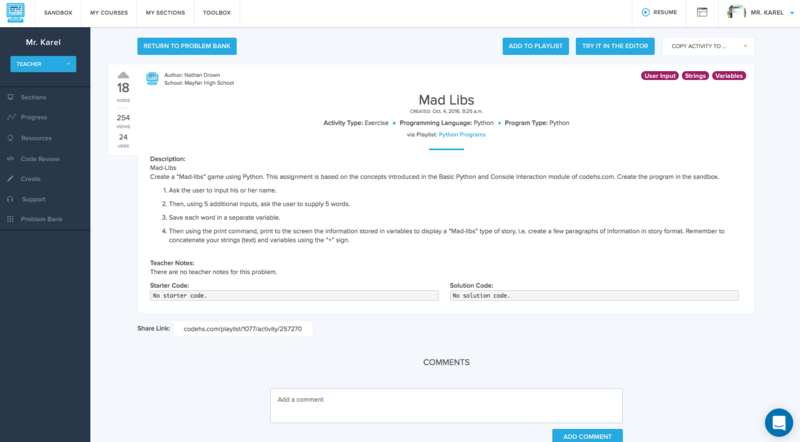 The Problem Bank is a collection of activities created by CodeHS teachers and members of the CodeHS Team for use in their custom courses and Playlists. 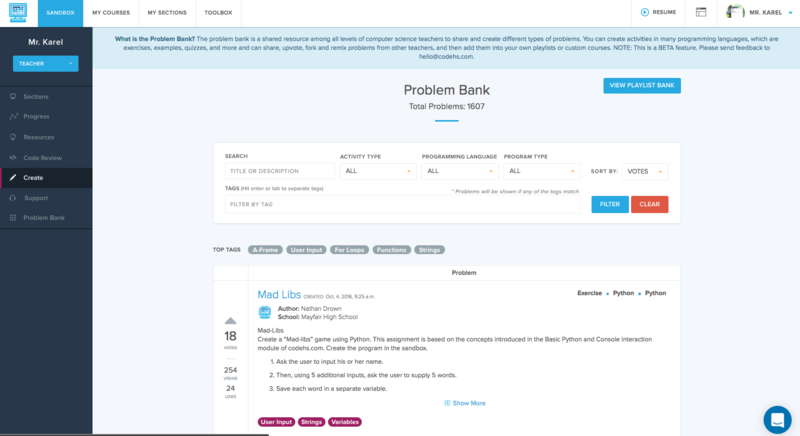 Teachers can use the Problem Bank to search and filter the list of hundreds of teacher created activities to find the perfect ones for their students. Teachers can then easily add activities to their own Playlist or custom course. The problem bank is a great way to diversify instruction and add extra practice for tricky concepts. Teachers can get to the Problem Bank directly from the toolbox, which can be found in the navbar at the top of any page on CodeHS.